Ukrainian politicians continue to bargain for a prime minister’s chair, the parliament ignored the financial bills, while the hryvnia reacts to this by sharp jumps – these are the main economic news of the past week. Key events of the last week were once again focused on the chair of Ukraine’s prime minister. Ukrainian authorities have not succeeded in overcoming the acute phase of the political crisis that has lasted for more than a month. Political forces fighting for ministerial positions expected that after a three-week break in the Parliament, they would finally manage to solve the government reshuffle issue during this plenary week. To this end, the MPs have registered a draft resolution on the dismissal of Prime Minister Arseniy Yatsenyuk. 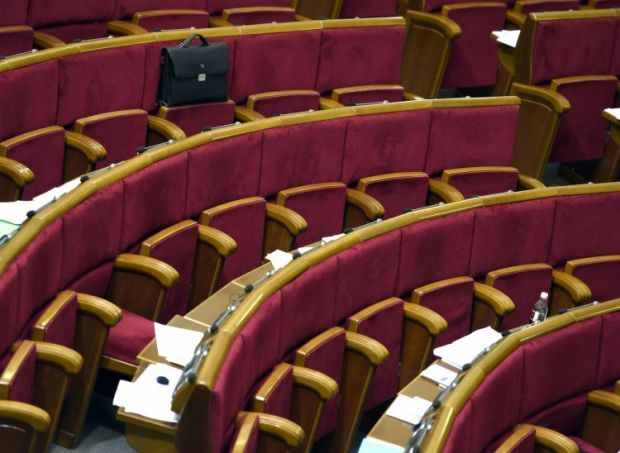 But procedural committee of the Rada recognized the document as unconstitutional citing that the parliament on February 16 already tried its only opportunity to "remove" the prime minister from his chair. That day, the decision on sacking Yatsenyuk did not win the required number of votes. So now, according to the Constitution, for the Cabinet to have a new prime minister, Yatsenyuk should either file a resignation letter, or die. The MPs still expect to "persuade" Yatsenyuk to resign. The leader of the pro-presidential Bloc of Petro Poroshenko faction, Yuriy Lutsenko, said that at the session of the Verkhovna Rada March 15, the question of the resignation of the Prime Minister will be resolved. His words were backed up with meetings of President Petro Poroshenko with party leaders regarding the exit from the political crisis, formation of a coalition and reformatting the Cabinet. Presidential spokesman Svyatoslav Tsegolko said that Poroshenko considered three possible scenarios – a technocratic government led by Finance Minister Natalie Jaresko, political government headed Samopomich party leader Andriy Sadoviy, or the Cabinet formed by the parliamentary majority. The leader of the parliamentary faction Samopomich, Oleh Berezyuk, said the move of the Presidential Administration to name the candidates for the post of a prime minister is in fact a manipulation designed to divert public attention. "The President of Ukraine, Prime Minister of Ukraine are very experienced politicians, and they are well aware that a prime minister will only be successful when he is backed by all 226 votes of the coalition, or a united faction of one party," Berezyuk said. After the talks with Poroshenko and the party leaders, Yatsenyuk said that he was ready to resign, but only if he saw a worthy replacement for himself and his ministers, as well as a program of reforms. On the other hand, the prime minister at the moment does not have the necessary support in parliament for the government to fully operate and implement reforms. Realizing this, the reformist ministers are seen quitting. Minister of Agrarian Policy Oleksiy Pavlenko does not intend to take back his resignation letter due to lack of support for reform by the Parliament. Minister of Infrastructure Andriy Pyvovarsky does not intend to continue his work in the government – he has gone on leave, and he does not intend to return to office. The main reason is the refusal of the Parliament to adopt the key laws for the transport industry. Uncertainty in the work of the parliament and the government has a negative impact on the weak Ukrainian economy and the situation in the financial market. Last week, the hryvnia was falling again under the pressure of political factors. Earlier this week, the hryvnia began rapid decline, and the rate rose again above UAH 27 / USD after strengthening to UAH 25.3 / USD. While just a week ago, the National Bank of Ukraine bought back the dollars from the market, the regulator on Monday had to interfere in the interbank market with emergency measures – the auction for sale of foreign currency. The regulator proposed the record volume (since September 2015) of foreign currency worth $60 million. And the banks bought it all. At the same time, the demand for currency was much higher than the NBU’s offer. The regulator’s actions led to a relative stabilization of the situation on the currency market, and by the end of the week, the rate strengthened to UAH 26.2 / USD. According to the experts, in addition to the NBU’s actions, the hryvnia exchange rate is also supported by a timid growth in world prices for metals and agricultural products, as well as the sales of foreign currency by agricultural producers ahead of the sowing season. But the general anxiety because of the political crisis and, consequently, the uncertainty regarding further cooperation with the IMF continues to put pressure on the market. In turn, the IMF continues to emphasize that it is waiting for certainty in the status of the government and the continuation of the reform program. So we still see no second revision of the program and, therefore, no money. The inability of the Ukrainian authorities to negotiate leads to rejection by the deputies of the draft laws important for Ukraine’s financial sector. A so-called “financial day” in the Rada scheduled for Thursday was disrupted – the MPs did not consider any economic bills. The National Bank and the Ministry of Finance expected that the Parliament would consider more than 10 bills on finance and banking, including under the program of cooperation with the International Monetary Fund. Financial bills are designed to strengthen the protection of creditors and create an effective mechanism for voluntary financial restructuring. They are expected to result in the banks starting to lend to businesses and citizens. In addition, the adoption of these laws should reform insurance and stock markets. Verkhovna Rada Speaker Volodymyr Groysman said the financial day will be held on Tuesday, March 29. But on the same day, the Rada will also decide on the fate of Prosecutor General Viktor Shokin, so it may once again postpone the adoption of economic bills. Last week, despite the lack of support of the MPs, the government announced an action plan for 2016, consisting of 379 provisions that the Cabinet of Ministers, together with the President and the Parliament must implement this year. For example, until the end of the year, the government plans to adopt measures for the liberalization of forex regulations, including drafting a corresponding bill and submitting it to the Verkhovna Rada. The liberalization of forex regulations involves easing conditions for business, deregulation, creating a basis for further development of IT industry, freelancing, exports of goods and services by small and medium-sized businesses. In 3Q, the Government pledges to table an action plan to bring the total public and publicly guaranteed debt to the economically safe level, and to introduce new principles of local borrowing in a decentralized environment. The Cabinet also intends to form and submit to the Parliament until late March the necessary legislative basis for opening the market of farmland. It is expected that the market will open in two phases – the trade in state-owned farmland will be allowed from 2017, and the citizens will be allowed to trade farmland starting 2019. Until the year-end, the government intends to sign an Open Sky agreement with the European Union, which will lead to the liberalization of air transport, technical and technological improvement of the country’s air navigation system, as well as the increased capacity of the Ukrainian air space. After massive accusations against the government of inaction regarding the inefficiency of the state-owned enterprises, the Cabinet last week held an extraordinary meeting to hear report on the audit of 17 major SOEs. According to the Ministry of Economic Development and Trade, the profit of top 100 SOEs in 2015 amounted to UAH 2.6 bln, according to preliminary data, compared with UAH 7.4 bln losses in 2014. The Economy Ministry said that the most positive trends in financial results in 2015 were recorded in Naftogaz, Energoatom, Administration of Sea Ports, Ukrenergo, and the Odessa Portside Chemical Plant. The worst results were at Ukrgazvydobuvannia, Centrenergo, the State Food and Grain Company, and Ukrposhta. The State Companies in 2015 paid to the state UAH 2.8 bln worth of dividends, with 65% of the total amount paid by Ukrnafta. The size of its dividend payments amounted to UAH 1.8 bln. According to the State Fiscal Service, top 17 SOEs in 2015 paid taxes totaling UAH 57 bln, accounting for 10% of total government revenue. Presenting a report on the audit of these companies, Head of the State Fiscal Service Roman Nasirov said that more than half of the leading SOEs have increased their tax payments, which indicates a more efficient management. The Economy Ministry noted that only six SOEs fulfill the Resolution of the Cabinet of Ministers on conducting the audit with the assistance of leading international companies. 10 SOEs have already signed relevant contracts with auditors, while another 13 hold a competition for the selection of auditors. Others simply sabotage the decision, the report says. Many companies hinder the inspections by the State Financial Inspection – Ukrgazvydobuvannia, Centrenergo, and Turboatom. 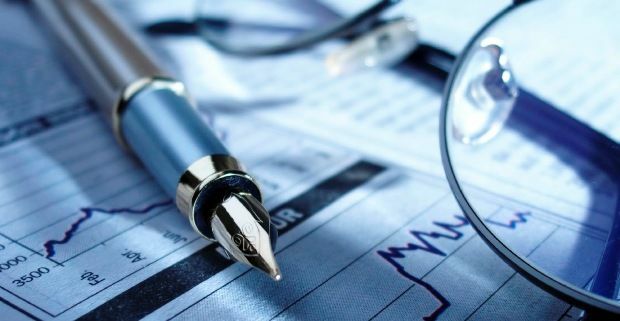 During the audits in 25 companies, the Inspection revealed financial violations worth UAH 7.5 bln, which speaks of the ineffective performance of these companies and the increased load on the state budget. Therefore, the SOEs are in need of a speedy privatization. The Prime Minister said that there is an ongoing war in Ukraine for control over the state-owned assets and financial flows, and the government is aware of many of these schemes. "There is a struggle for the state-owned companies. I therefore proposed to hold a public meeting to show that I will not allow further politicization of the activities of the SOE’s, [I will not allow them] to continue being the breadwinners of certain political figures and parties,” he said. “There is a war aimed at privatizing certain companies, or appointing certain directors. At the same time, they all voice slogans of the fight against corruption, but they come through the back door asking to appoint certain people. It's clear, and we know it all." 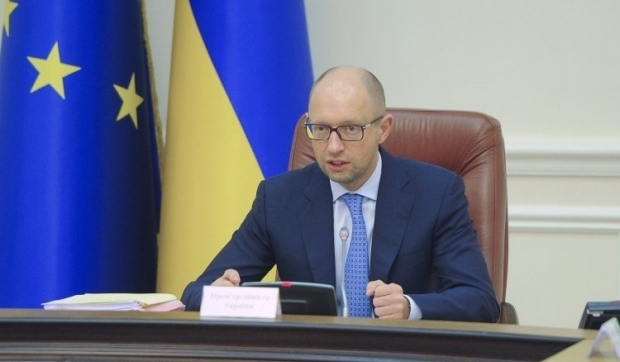 Yatsenyuk stressed that Ukraine needs to change the system of public administration, as a change of directors or company names does not always lead to the expected results. Therefore, at the meeting, the government approved and submitted to the parliament a bill on halving the list of companies banned from privatization. In addition, the Cabinet has initiated the staffing competitions in top 50 SOEs and instructed the Ministry of Economic Development and Trade to prepare a list of potential candidates. Last week, both opponents in the Stockholm arbitration – Russian gas monopoly Gazprom and the Ukrainian state energy holding Naftogaz of Ukraine – reported an increase in claims to each other. 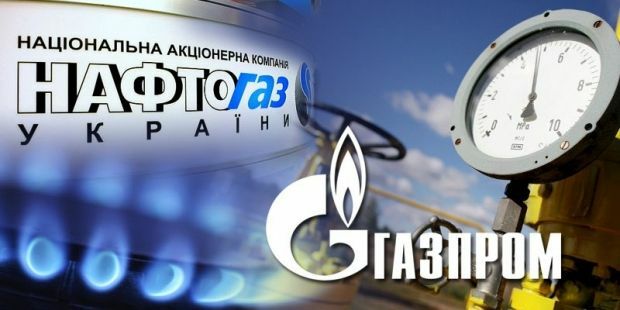 Thus, Gazprom has increased the claim to Naftogaz for the underpurchase of gas from $29.2 bln to $31.759 bln. "Regarding the increase of claims of Gazprom to Naftogaz, one shouldn’t be surprised. Moreover, one shouldn’t be worried on this matter. Until the end of the arbitration process in Stockholm, the two sides will be increasing their claims," says Director on Business Development of Naftogaz Yuriy Vitrenko. According to him, for the first quarter of 2016 alone, Naftogaz will bill Gazprom about $1 bln as underpayments for the transit of Russian gas through Ukrainian territory. In turn, Gazprom will accumulate additional claims against Naftogaz for the gas Russia wants to sell to Ukraine in take-or-pay mode. Earlier, Naftogaz CEO Andriy Kobolev estimated the total amount of claims of his company to Gazprom at $30 bln. According to him, Gazprom in winter 2015-2016 has lost about $6 bln in revenue from Ukraine purchasing gas solely in a reverse flow mode from the EU. The officials point out that the principle which the Russian energy giant applies in its claims cannot be used for a variety of reasons, such as overpricing, inadequate volume of injection, illegal restrictions on destination of supplies, and others.